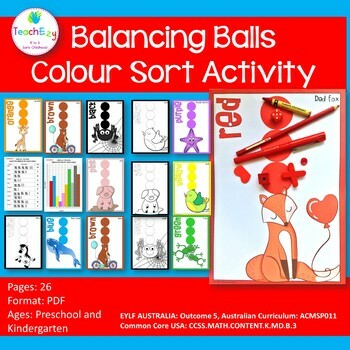 This is a balancing ball colour sort activity suitable for preschool and kindergarten. ⭐ Includes red, blue, yellow, purple, pink, orange, green, white, black and brown. 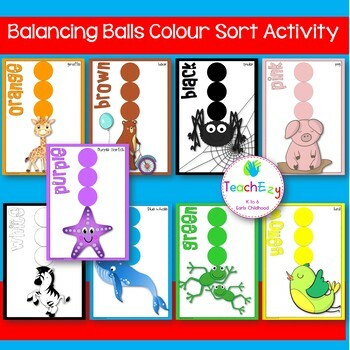 ★ Each colour comes pre-coloured and in black and white. 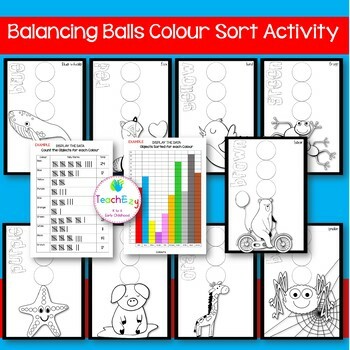 ★ This resource can be used simply to learn about colours/colors, or it can be extended to classify objects into colours, count the data collected and create data displays. 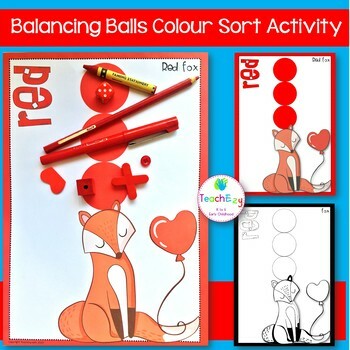 ★ We have provided a simple table to help with recording – just colour/color the boxes to match the number of items. We have only included 25 total items for each colour/color. ★ You will also find a tally mark sheet to use if you prefer. Both COLOUR and COLOR have been provided.